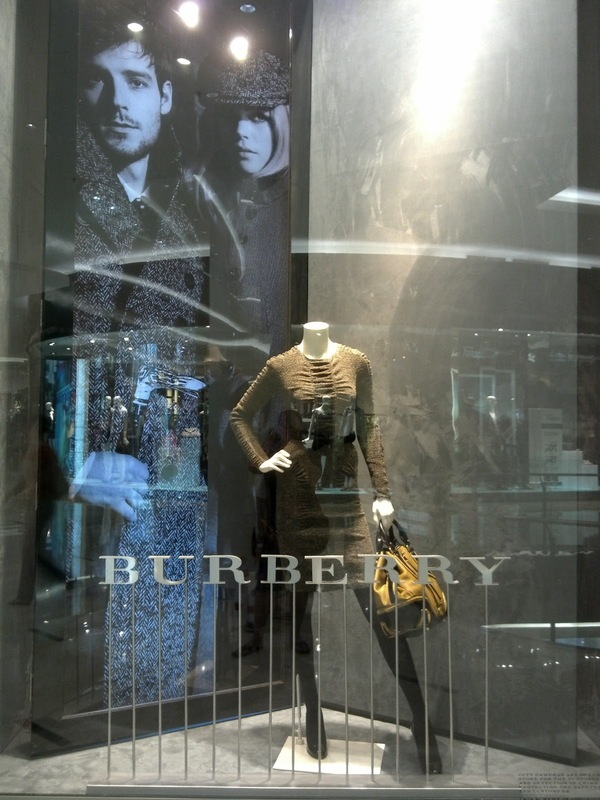 Burberry for Fall/Winter 2012 bring somber mood in its campaign photo and window display. 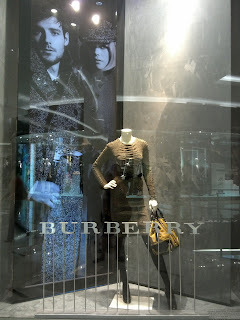 Dark, cloudy, grey atmosphere of rainy London are symbolized with dark color of walls beside the giant digital photo of the campaign. There is a single mannequin stands in between them and a fence lay behind it.